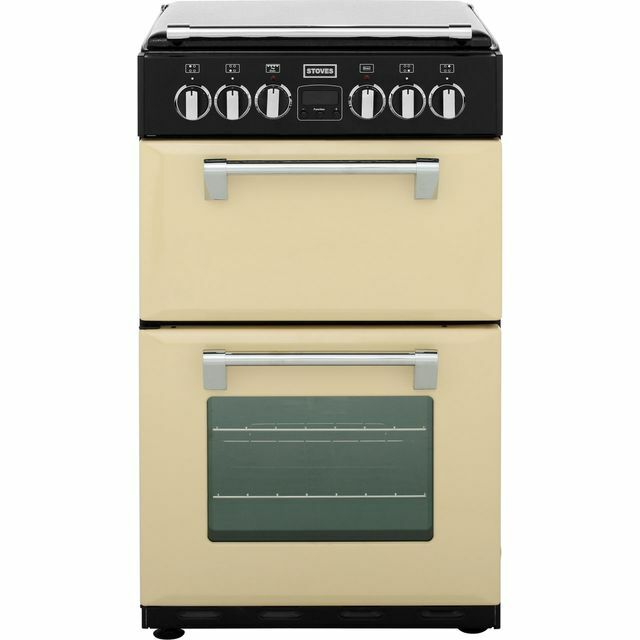 Add a touch of classic style to your kitchen with this great electric cooker from Cannon. It has two cavities which are both rated B for energy efficiency. 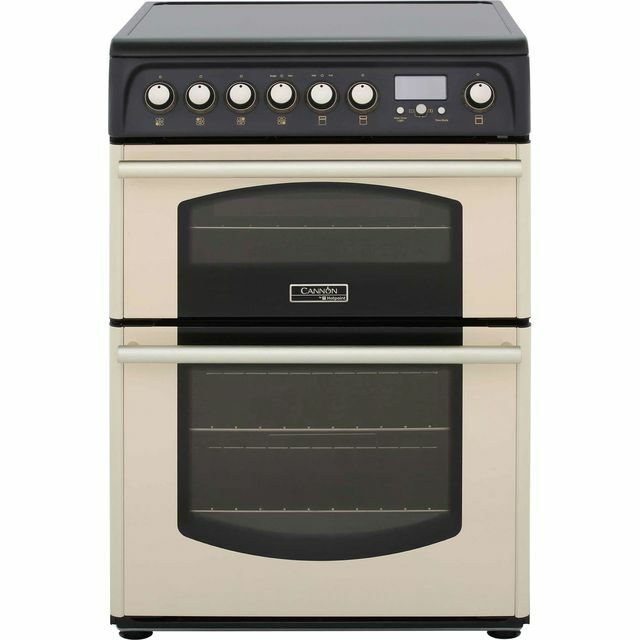 The main fan oven is perfect for preparing a flavoursome fish pie and an indulgent Victoria sponge at the same time, because air is evenly circulated, so flavours won’t transfer between dishes. 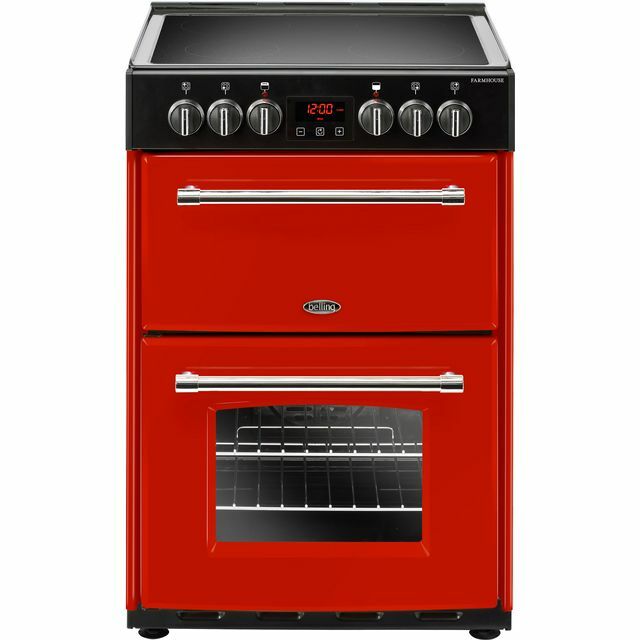 There’s also a second conventional oven with a grill function, which is handy for crisping the top of your lasagne. 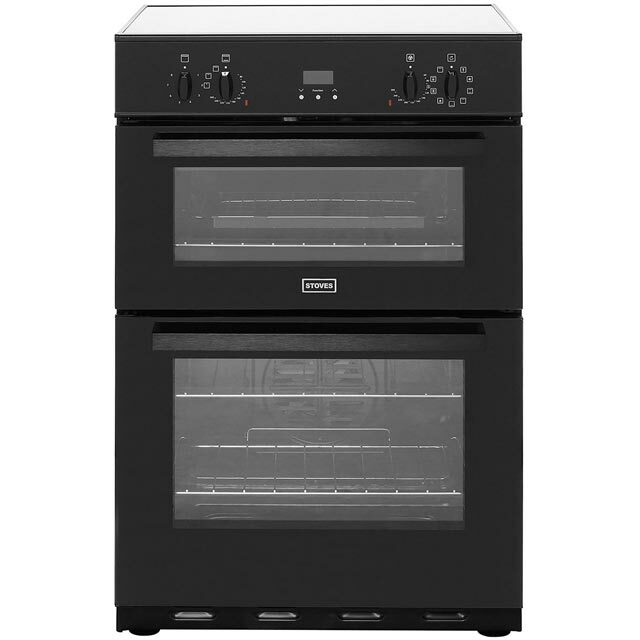 Keeping this model clean is simple too, as both ovens have catalytic liners that absorb grease and food splashes. Very reliable oven. Like for like replacement after 10 years. Excellent. We had an earlier version of this cooker for many years. When it finally became too expensive to repair we started looking for a replacement. When we found this new improved version we decided to buy it. We like the solar grill and the multi function oven. It is very easy to clean, and we love the slide out grill tray. We cooked toad in the hole in the fan oven which rose incredibly. Mary Poppins.. Perfect In Every Way..! 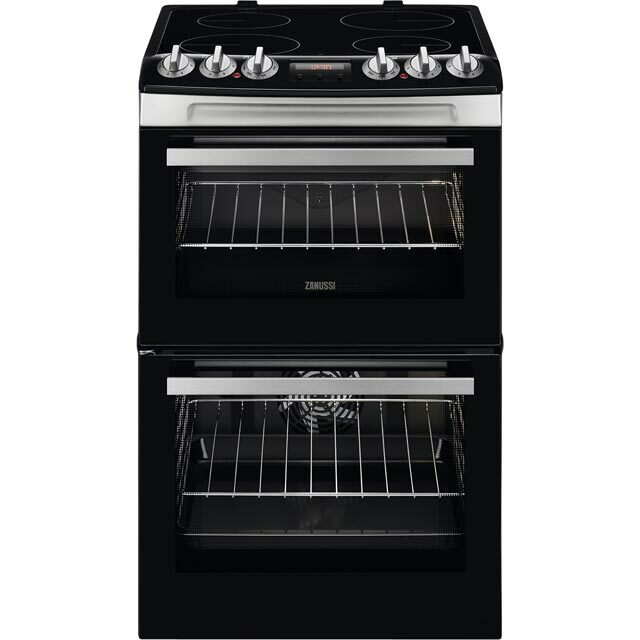 We bought a Gorenje cooker from AO 12 months ago, I liked the look of it. Not long after we had it, we realised it’s limitations. Only one oven cavity so it had to do everything at the same time. No where to warm the plates. Our second choice at the time was this Cannon. We decided enough was enough and ordered one in cream. Oh the difference..! So much more versatile. Very pleased with the build quality. Easy to keep clean. As it fits between kitchen units, the black sides are hidden, something to bear in mind if it was sited on the end. Only negative comment, the instruction manual is very poor for a cooker of this cost. Overall, 5 stars and I would thoroughly recommend it.